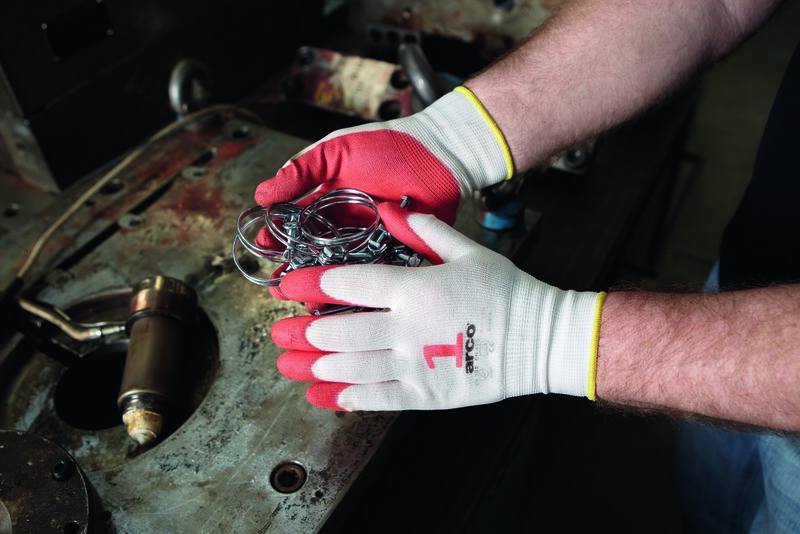 to make specifying gloves easier, safety supplier Arco, has developed a cut control colour glove system. Paul Lyons, Product and Procurement Manager – Gloves at Arco explains "With so many gloves on the market, it is difficult to gain a clear understanding of the level of protection each glove offers, as the classifications vary from supplier to supplier. The new Cut Control System makes it possible to see instantly what level of cut protection is being worn. Gloves are colour coded to illustrate different levels of cut protection and also numbered for ease of use and efficiency. The colour coding also gives a clear visual signal for surrounding workers and safety inspectors." See www.arco.co.uk/cutcontrol for more or visit your nearest trade counter.